On Southern Island, in Tenants Harbor, in the southwestern Penobscot Bay. Private residence. 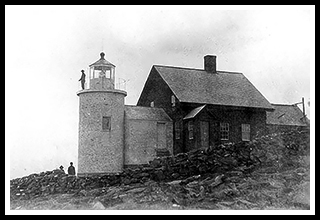 With fishing and granite quarrying industries increasing in the area Tenants Harbor lighthouse was built in 1858 for this increased shipping trade. The station had a hand-operated fog bell for a while which was later replaced with a wooden pyramid type bell tower using automatic striking machinery. Keepers were busy at times aiding boats that were sometimes stranded near Southern Island. Keeper Joseph Jellison, stayed the longest at the lighthouse for 22 years. 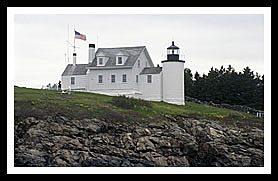 The lighthouse was sold by the government in 1934 and went through various owners, with the current owners, artist Andrew Wyeth and his wife, Betsy who purchased the lighthouse in 1978. Andrew Wyeth, who is also a history buff, designed a studio inside the base of lighthouse bell tower. Since 1990, Betsy and Andrew's son, artist Jamie Wyeth, with his wife Phyllis, have lived on the island. In the town, the Keag Inn and the East Wind Inn are believed to be haunted. Taking roads out to Maine’s many peninsulas from Route 1 provides lots of opportunities to explore picturesque fishing villages and farmland countryside in this predominantly rural region. Tenants Harbor is another fishing village community, along with its neighboring villages and towns where you can enjoy the true Maine spirit. A half mile up Roaring Spout Road, off Harts Neck Road, in Tenants Harbor, there is a section of rocky coastal conservation land to hike around in an area called the Roaring Spout, where there are exciting rock formations. Between Tenant’s Harbor and Port Clyde, beach goers will enjoy the Drift-In Beach. Over twenty-five artists in the town of St. George hold an annual Open Studio Tour each summer. Thomaston is an old seaport that is noted for its antique architecture. The village of Port Clyde offers activities like hiking, biking, fishing, kayaking, sailing and golf, amongst an artistic community. 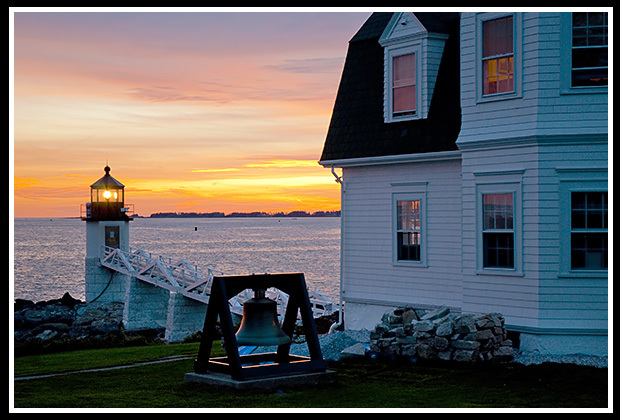 Marshall Point Lighthouse grounds and the Marshall Point Museum are open to the public. Ferry leaves out of Port Clyde to Monhegan Island. The boat passes by Tenant's Harbor Lighthouse as part of their annual "Midcoast Maine Lighthouse Challenge" with the American Lighthouse Foundation, usually around the end of June. 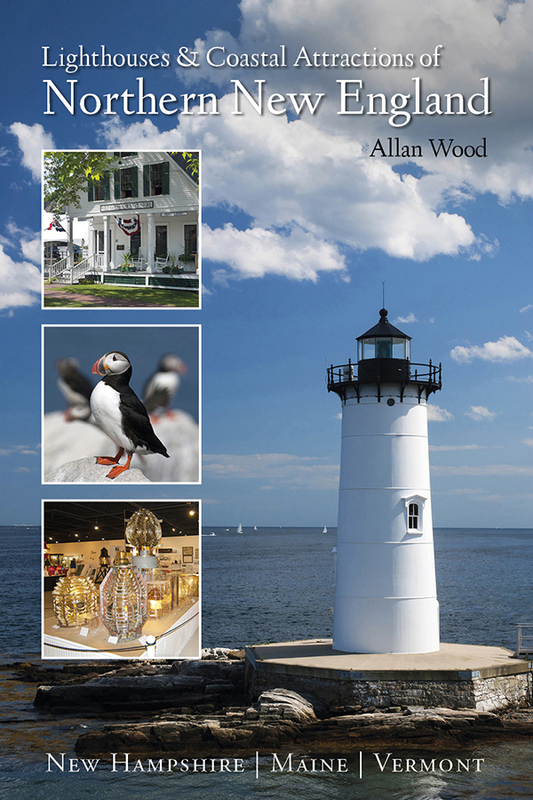 My book, Lighthouses and Coastal Attractions of Northern New England: New Hampshire, Maine, and Vermont, provides stories from each of the 76 lighthouses, along with plenty of coastal attractions and tours near each beacon.